I LOVE quilts. We use them everyday in our house. Maybe this love stems back to my gram who was an expert quilter! We own many of her amazing creations as well as a lovely blue and white quilt that was made by great, great aunts in the early 1900s. 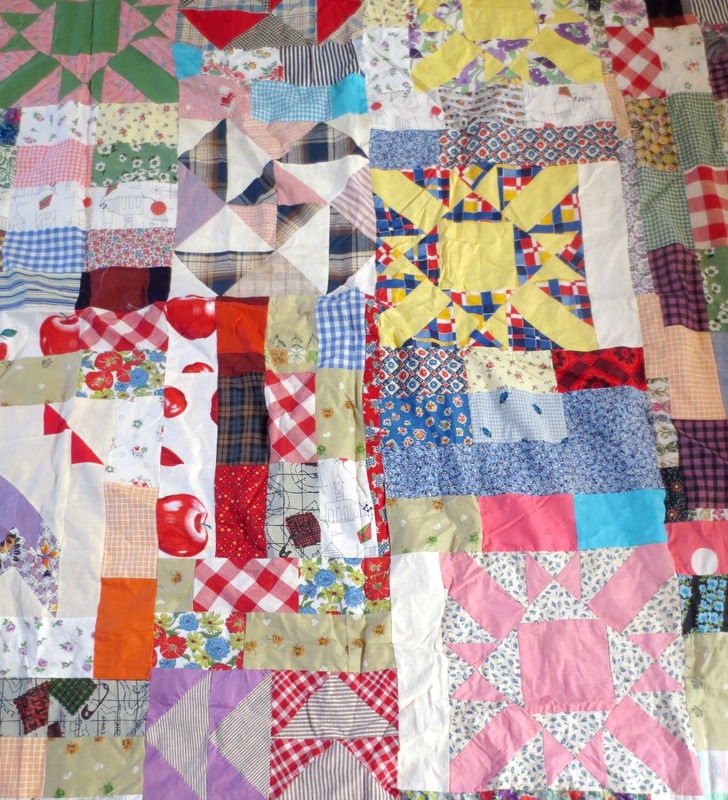 One of my heirloom quilts, circa early 1900s. 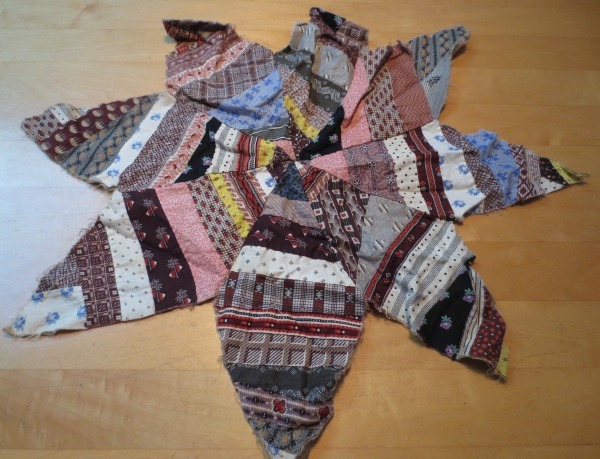 So when I had the chance to acquire some unfinished vintage quilt tops and squares for FREE, I was excited. Oh sure, I was getting them to resell, but it’s an art form that I adore. My oldest daughter picked up the bag for me from a neighbor who lives about a mile away and it was like Christmas! I slowly started pulling everything out of the bag. 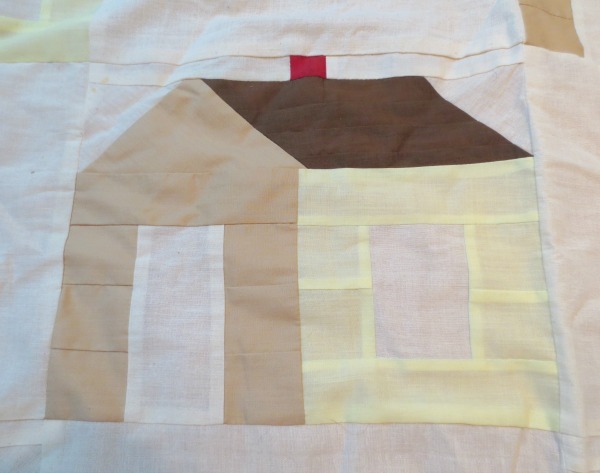 This house motif topper was rather fetching in alternating squares of pattern and muslin. 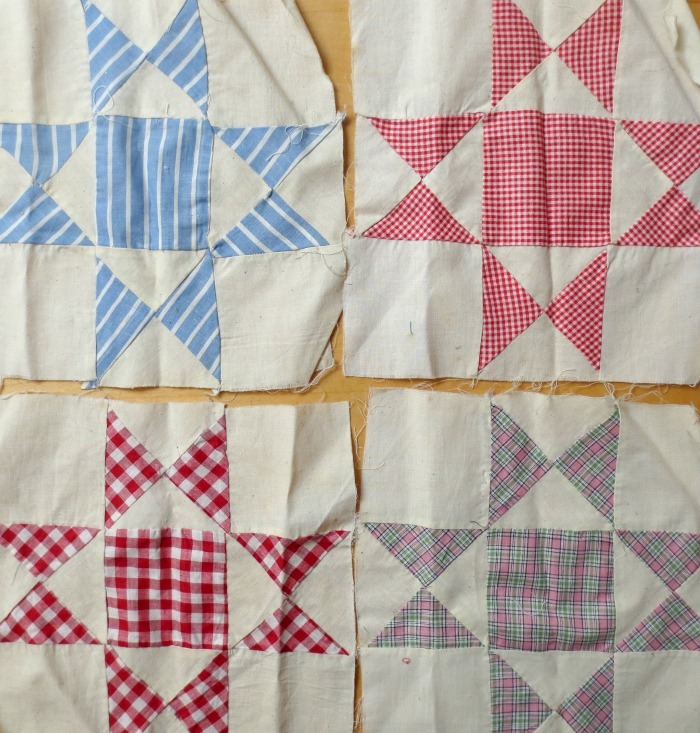 The “Sunbonnet Sue” topper has stains and could end up being a “cutter,” but interestingly, some of the squares were made with old salt and sugar sacks, likely circa 1920-1940. Here’s the backside of one. This topper that has a random “Crazy Quilt” kind of look with some fun fabrics. But lest you think it was all fun and games and good fortune, I encountered some “ick” factors too…stains, dead bugs, crusty bits, cat hair and a musty smell that started to make me a little sick. 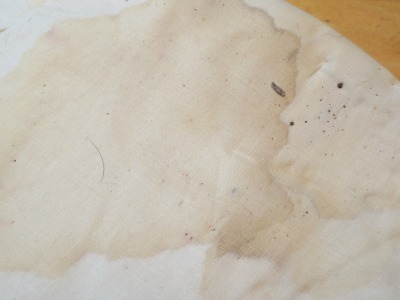 This piece of muslin, along with some other damaged pieces, quickly went back in the bag and were set outside to go in the garbage. Some things just aren’t worth trying to save. Happily, most of the items are in pretty good condition though my first order of business is to wash everything pronto! Some of the separate squares include these 20+ appliqué butterfly pieces with different patterned fabrics. Wouldn’t they be cute framed and hanging in a nursery? 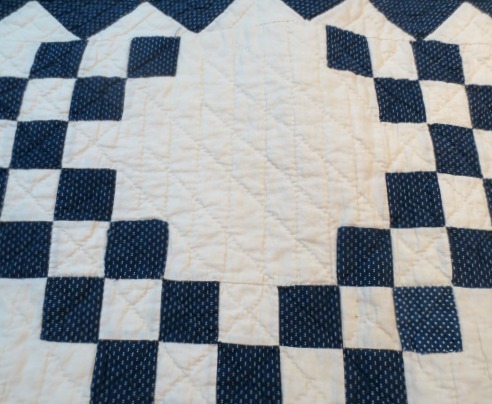 Thankfully, there are some pieces that I might use to make a pillow, like these small “Sawtooth Star” squares. Hopefully she won’t be too upset that I’m not doing something with most of the items she gave me. What’s your find of the week? 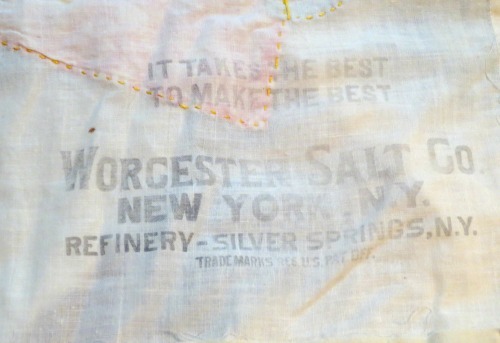 I love nothing better than a big bag of mystery fabric – even if it does have occasional bugs. Great find!